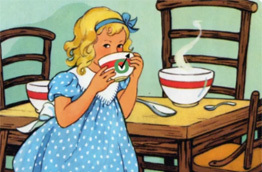 Just as Goldilocks had a hard time finding things that were Just Right, B2B companies continually struggle to find software that meets their needs and falls within their budget. In the spirit of customer success, we want to help B2B firms easily compare voice-of-customer tools to make confident and informed decisions. Download the whitepaper to compare 5 other leading VoC vendors with TopBox. You be the Goldilocks and find your Just Right.